If you read our Sony SmartWatch 3 review then you'd have realised that while we loved the functionality of the Japanese giant's Android Wear debutant, we weren't overly enamoured with the rubberised finish. However, over in Vegas at CES 2015, Sony had some good news for fashionistas tempted by its latest smartwatch - a stylish looking stainless steel Sony SmartWatch 3 will go on sale next month. 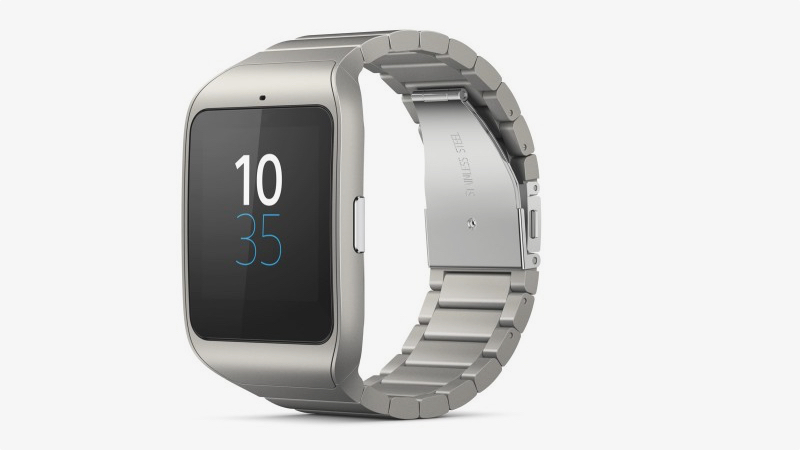 The Sony SmartWatch 3 was first announced back in September 2014 at IFA and was somewhat of a surprise as it wasn't widely expected that Sony would have an Android Wear smartwatch launching in 2014. It features a 1.6-inch 320 x 320 TFT LCD display and charges via Micro USB, which means no extra annoying proprietary connectors. Crucially, it is the only Android Wear device packing GPS connectivity, meaning that you can accurately track your runs without the need for smartphone tethering. Sony also announced a new SmartWatch 3 holder, making the device compatible with any standard 24mm watch strap, which will be available in the next couple of months. Finally, the company also revealed a couple of major updates to its Lifelog platform - the first being that it will now be available as a desktop web portal and the second being intergration with a variety of lifestyle and health apps - such as IFTTT and Withings. “Lifelog is inspiration through insight, and our first partners are helping us bring this to life in new ways," said Yasuharu Nomura, director of Experience Planning at Sony Mobile Communications. “We specifically designed the Lifelog platform on open principles, with capability that will help developers to build new experiences and access the Sony ecosystem like never before – it's going to be an exciting year ahead."